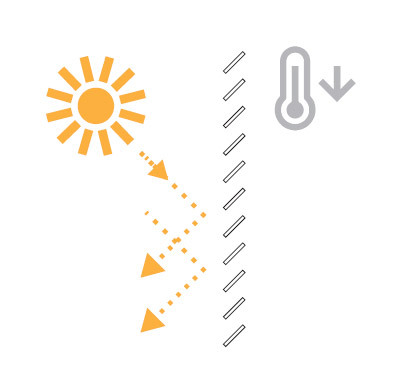 At the same time they provide sufficiently indirect and diffuse light in the room. 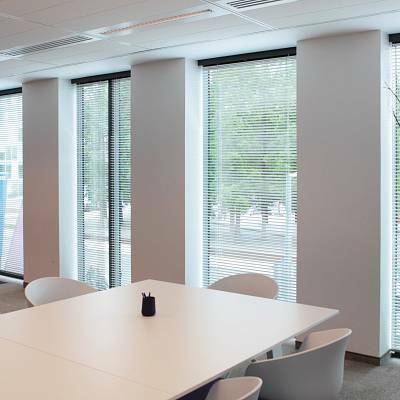 The important difference that sets blinds apart from other shading systems is that light and transparency in the room can be regulated by slanting the slats. Adjustments are easily made. Some models enable total blackout, protection against burglary and high stability in wind. External blinds can be installed into visible external masks or concealed masks which can be made from aluminum or galvanized steel. 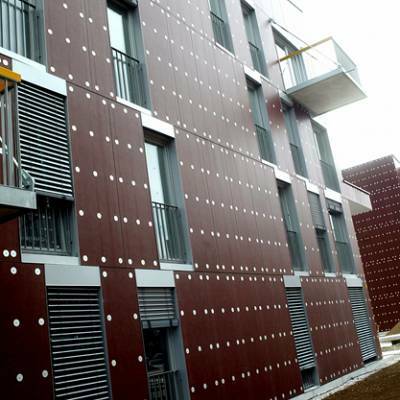 All models can be integrated into the facade, ensuring installation without thermal bridges. The slats come in a number of different colours and shapes. All guides can be colour coordinated to your requirements in any RAL colour. 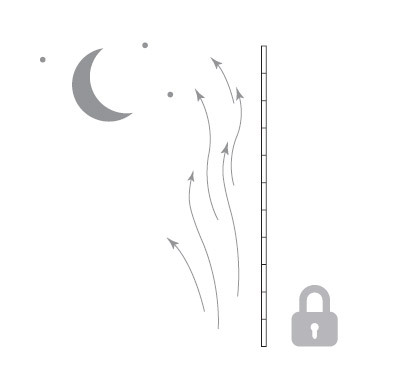 A mosquito screen can be integrated into the exterior blinds system. 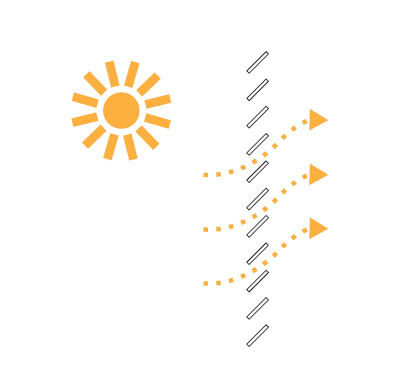 Blinds can be regulated by hand (winch) or by motor drive. The Soltec LUX blinds protect against overheating, ensure optimal transparency and indirect light inside the room. The slats of the Soltec Z90 exterior venetian blinds have a specific shape and are 90mm wide, perfectly fitting one on top of the other. Trapezoid 80 mm slats are fixed to the textile ladder and lifting tape, which allow rotation of the slats around their axis and lifting or lowering. 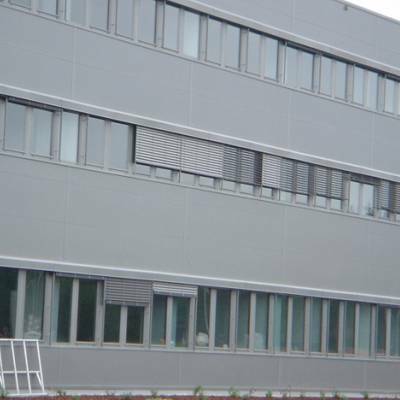 Exceptional products for energy efficient envelopes of buildings. The use of blinds ensures indirect and diffused light in the interior. By rotating the slats, we can efficiently regulate daylight and transparency in the room. Some types of our blinds ensure total blackout, protection from burglary and stability in windy conditions. 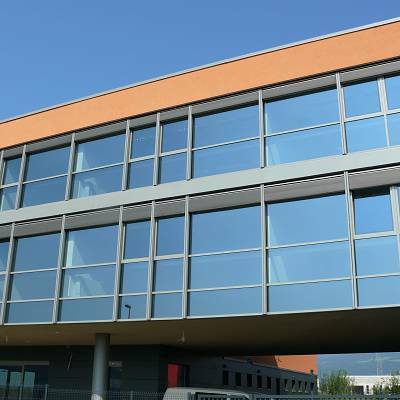 PROJECT COMMERCIAL BUILDING – production and implementation of Z90 blinds. Production, supply, installation. 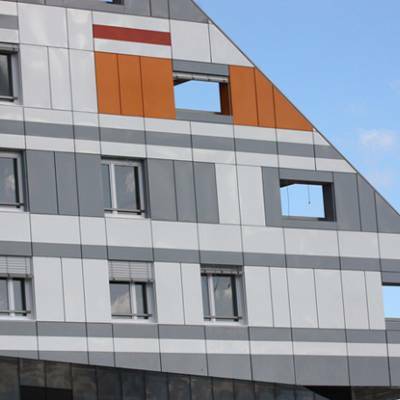 PROJECT COMMERCIAL BUILDING – production of mirror blinds. Production, supply. PROJECT RESIDENTIAL ESTATE – production and implementation of venetian blinds. Production, supply, installation. PROJECT COMMERCIAL BUILDING – venetian blinds. Production, supply, installation. View our online catalogues and find out more about our products. View our product presentation online in our YouTube channel. We are not alone. Assisting our top partners in Europe. 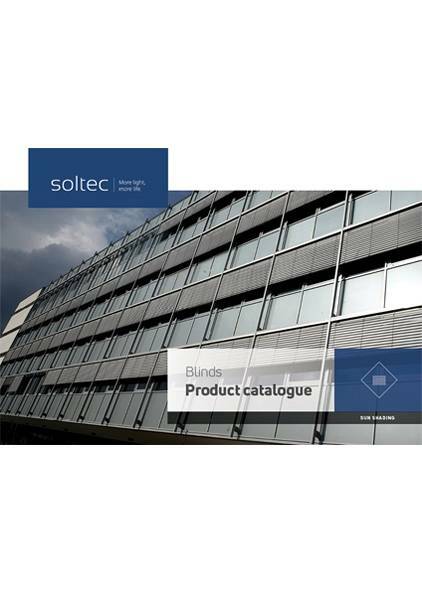 With a comprehensive selection of shades, Soltec provides innovative and technologically advanced products, which improve the quality of life, daylight inside the building, the aesthetic look of structures and lower energy consumption.